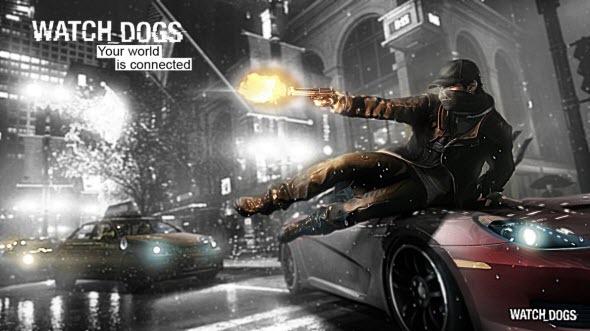 If you eagerly anticipate Watch Dogs game and want to buy it for PC, then today we have some important news for you. Thus, last week-end Watch Dogs system requirements (minimum and recommended) appeared on Steam. Earlier we already told you the first variant of them. So now you can find out more about these requirements to be sure that your PC will run this game. OS: Windows 7, Windows 8 or Windows Vista (only 64 bit). CPU: Intel Core 2 Quad Q8400 with 2.66Ghz or AMD Phenom II X4 940 with 3.0Ghz. Graphics: Nvidia Geforce GTX 460 or AMD Radeon HD 5770 (DirectX 11 graphics card with 1 GB VRAM). Sound Card: compatible with DirectX 9.0c and with latest drivers. Hard Drive: 25GB available space. Note please that if you are going to play the multiplayer mode, then the broadband connection and the service are required. CPU: 8 core - Intel Core i7-3770 with 3.5Ghz or AMD Phenom II X4 940 with 4.0Ghz. Graphics: Nvidia Geforce GTX 560 ti or AMD Radeon HD 7850 (DirectX 11 graphics card with 2 GB VRAM). We would also like to draw your attention to the fact that Watch Dogs game is available in multiple editions, one of which (to be more exact, its content) - Vigilante Edition - was demonstrated in the new video, presented below. And what do you think about these Watch Dogs system requirements? Will your PC meet them? Your answers can be left at the bottom of the page.